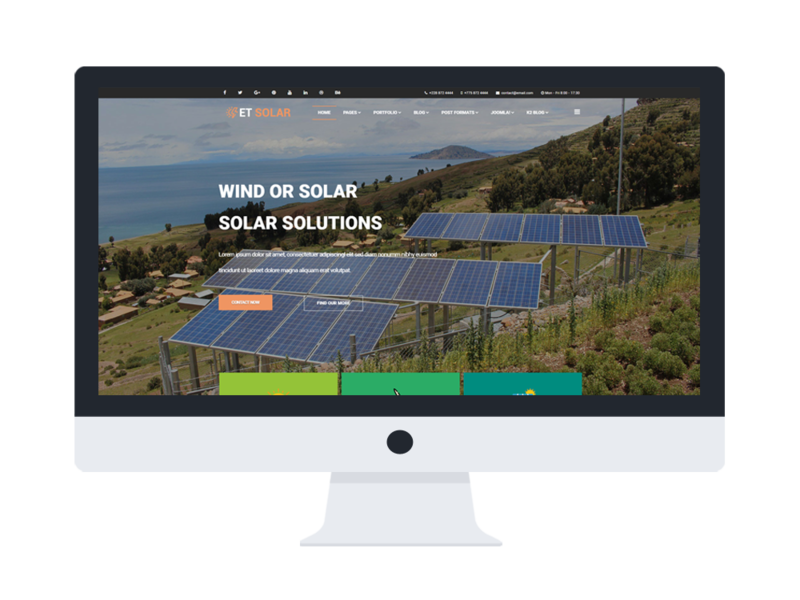 ET Solar is a Responsive Joomla! template that supports environmentally-friendly business to promote and sell their green products to a wider marketplace, besides, it also brings to visitors meaningful messages for raising people’s awareness of protecting environment. 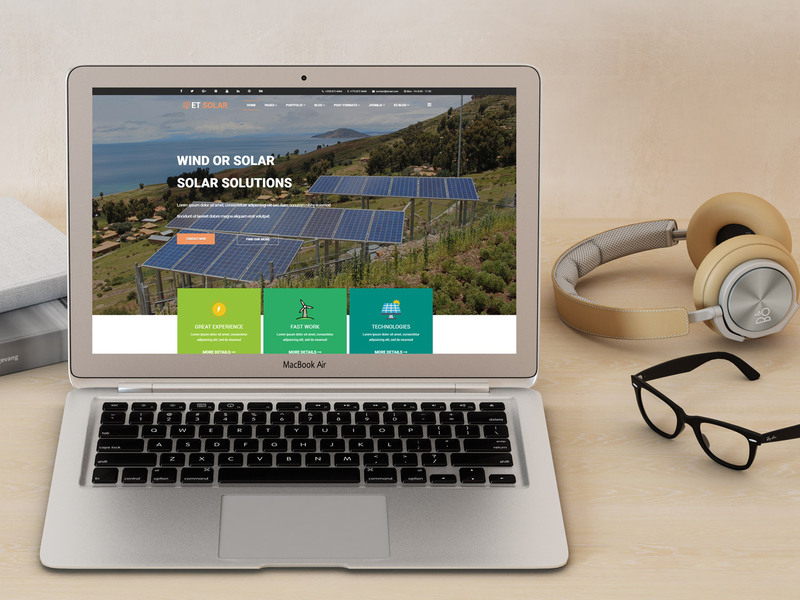 The amazing Joomla Solar Energy templates built with the most modern web technologies – Bootstrap CSS Framework, Support Font Awesome and K2 extended style, therefore, it is really straightforward for you to work with ET Solar by its simple but high-quality code. Choosing to go with our theme, you will not need to spend time building more content because we have it covered for you! All you just need to do is editing content as the way you want, by powerful and easy-to-use Admin panel and Bootstrap features. 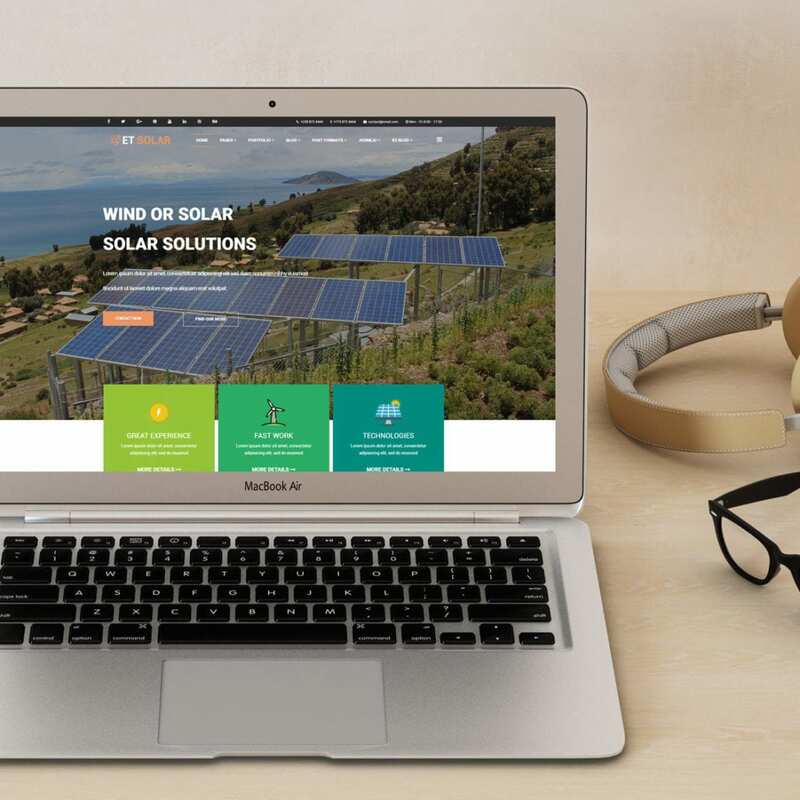 In addition, this Joomla Solar Energy templates also integrate with Google fonts which make your site content be more eye-catching to visitors. Moreover, ET Solar provides your site a fully responsive layout to display its best on any mobile devices and PC. Grab this theme and bring visitors the best experience on your site! 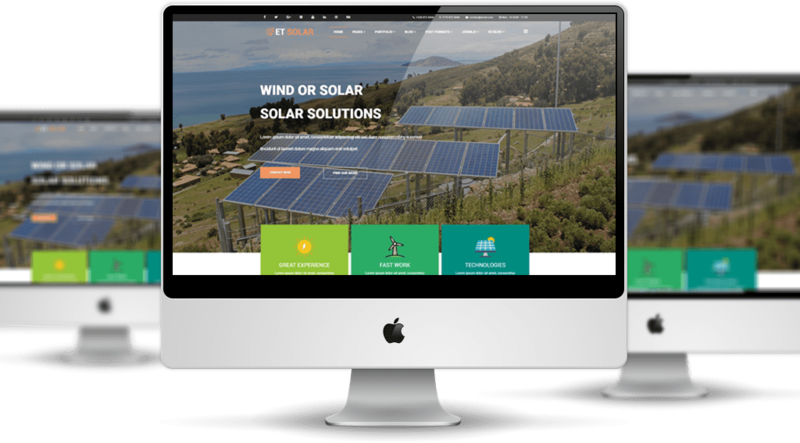 ET Solar Joomla Template is simple, clean looking template designed mainly for new business websites. It’s easy to custom and edit content via convenient template parameters. 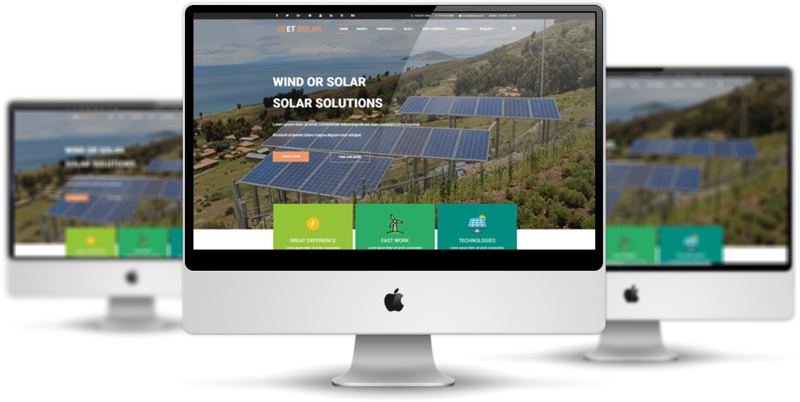 ET Solar Joomla Template with fully responsive layout based on Bootstrap CSS. It has special built-in design optimized for modern mobile devices iPhone, Android and Windows Mobile-based. 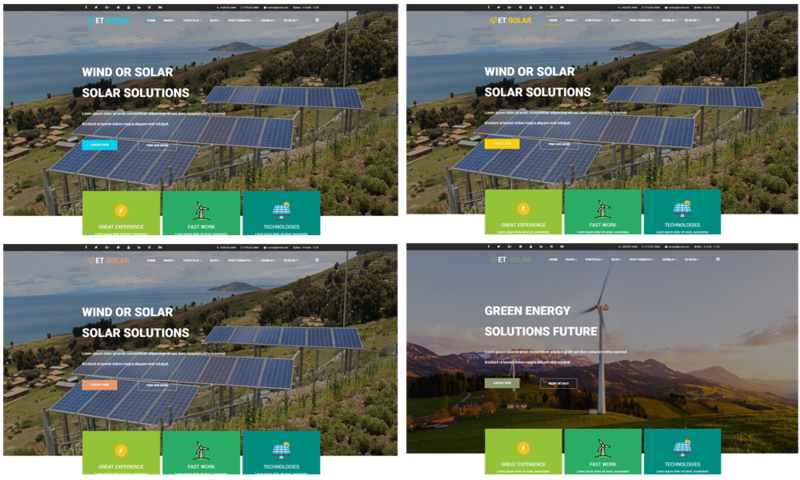 ET Solar Joomla Template supports 4 color styles helping to create gorgeous websites with various layouts. Besides, the template comes with flexible homepage which includes boxed and full width layout. You can see demo via Template Site Tool on demo site. It’s also easy to extend color styles.